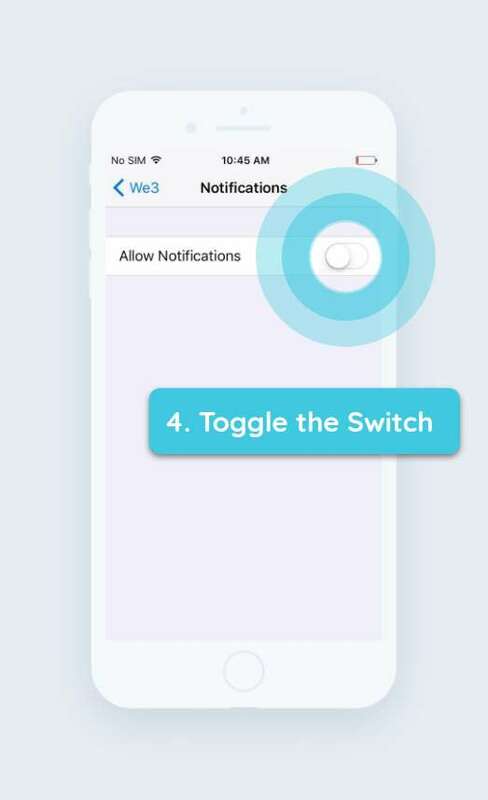 Here’s how you can enable push notifications on your iOS device. To start a Tribe search on We3, you need to have push notifications enabled. Push notifications are needed because we need to notify you when your Tribe is formed or when your Tribe members have sent you a message. 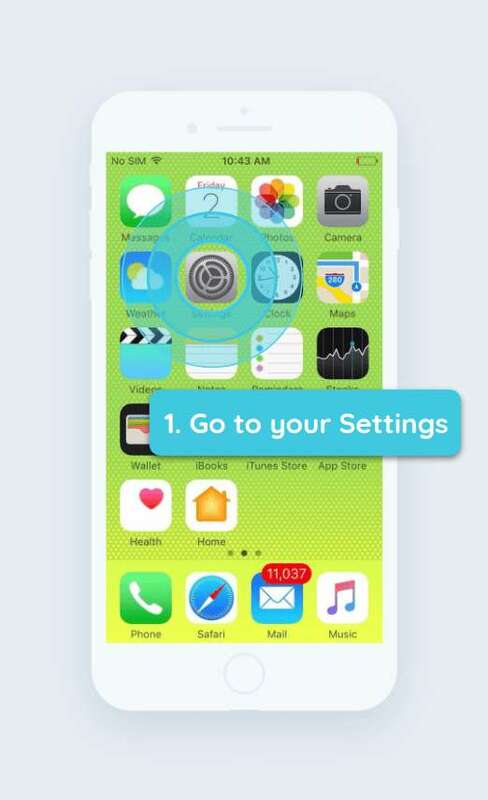 Here’s how to do it on your iPhone. 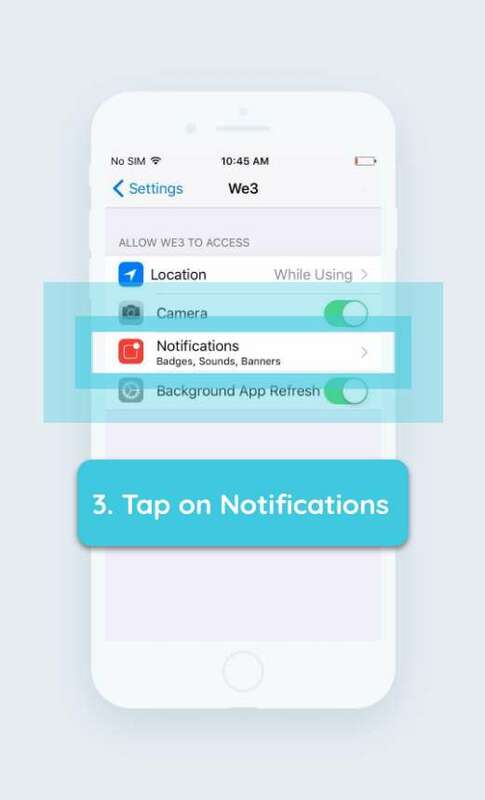 If you do not see the option to tap Notifications, you will need to log out of We3 and log back in. 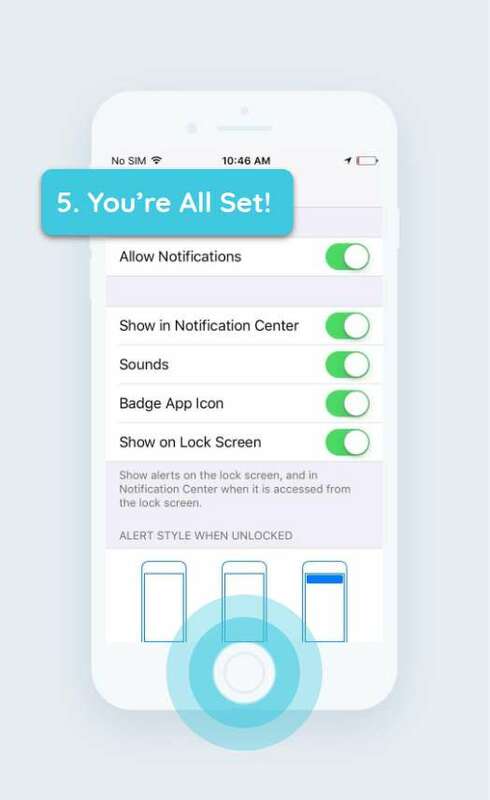 Once you are back in, the app should automatically prompt you to enable push notifications. If this works, you can ignore the remaining instructions. 5. You’re All Set! Go back to We3.